The Safety and Shipping Review 2016 focuses on key developments in maritime safety and analyzes shipping losses (of over 100 gross tons) during the 12 months prior to December 31, 2015. It follows the Safety and Shipping Review 2015 by Allianz Global Corporate & Specialty (AGCS). International shipping transports approximately 80% of global trade by volume and over 70% of global trade by valuei. 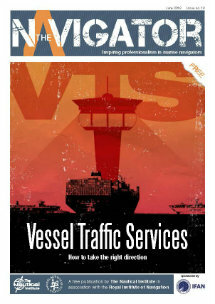 The safety of vessels is critical to the global economy. The maritime industry saw the number of total losses remain stable during 2015, declining slightly to 85; the lowest total for a decade and the second year in a row annual losses fell below 100. Losses declined 3% compared with 2014 (88). The 2015 accident year represents a significant improvement on the 10-year loss average (123). Large shipping losses have declined by 45% over the past decade, driven by an increasingly robust safety environment and selfregulation. East Mediterranean and Black Sea (11). Cargo (36) and fishing (16) vessels accounted for over 60% of ships lost with cargo losses increasing for the first time in three years. Foundered (sunk/submerged) is the most common cause of loss, often driven by bad weather, accounting for almost 75% (63), up 25% year-on-year. In total, there were 2,687 reported shipping casualties (incidents) during 2015,down 4% year-on-year. The East Mediterranean and Black Sea region (484)remains the global hotspot. Together, with the British Isles, N.Sea, Eng. Channel, Bay of Biscay, it accounts for a third of all incidents over the past decade. Thursday is the most frequent day for shipping incidents with Saturday the safest. Economic pressures impact: While the long-term downward trend in shipping losses is encouraging, the continuing weak global economy, depressed commodity prices and an excess of ships are pressurizing costs and raising safety concerns. Machinery damage (36%) is already the most common cause of shipping incidents and preventative measures is often one of the first shipboard expenses to suffer. AGCS has observed an increase in frequency losses over the past 12 months, which, for some classes, can likely be attributed to some extent to the economic environment. As well as impacting investment in vessel maintenance and repair, crewing conditions and training, cost pressures can also impair passenger ship safety, salvage and rescue and safe cargo carrying. longest possible intervals, while others are considering laying-up vessels or are already doing so. Vessels which are laid-up for a period of time can return to a market that has moved on technologically. There is a need for standardized layup procedures. Without these, the reactivation of such vessels may result in a “painful” exercise for the industry. Seafarer shortage, fatigue and training issues: There has been an increase in fatigue-related insurance claims over the past decade. With crew numbers often at their lowest possible level, and with the industry anticipating a future staffing shortage, expectations are for longer shift patterns, which could exacerbate the issue. Meanwhile, training remains below par in some areas, such as withelectronic navigational aids, which should not be seen as a panacea but as a tool. international standards, as evidenced by a number of recent ferry losses in South East Asian waters. Frequent sailings and profit pressures mean scheduling necessary maintenance can prove challenging. Superstorm ship sinkings: Meteorological predictions anticipate more extreme weather conditions, bringing additional safety risks for shipping and potential disruption to supply chains. Hurricanes and bad weather were contributing factors in at least three of the five largest vessels lost during 2015 including El Faro, the worst US commercial maritime disaster in decades. It is also a major factor in South China, Indochina, Indonesia and Philippines being the global loss hotspot. Weather routing will continue to be a critical component to the safe navigation of vessels. connected with the use of ultra-low sulfur fuel. Engine problems and power issues have been reported and such incidents could increase as regulations on sulfur content in fuel tighten further. Generally, AGCS has seen an increase in machinery claims in relation to fuel. Arctic casualties increase: There were 71 reported shipping incidents in Arctic Circle waters during 2015, up 29% year-on-year and the highest in a decade. In 2006 there were just 8 incidents. Machinery damage/failure (46) was the cause of 65% of incidents, driven by the harsh environment. The mandatory Polar Code, expected to enter into force in 2017, will help ensure more responsible shipping in such high-risk waters but safety questions remain. The cyber threat grows: The maritime industry’s reliance on interconnected systems poses risks as well as bringing benefits. Threats can result from improper integration and interaction of cyber systems/updates or attacks from external sources and are not always detected. More needs to be done to educate companies. While the likelihood of a cyber event that cuts off a significant portion of trade remains low at present, cyber exposure is growing. Technological advances such as “The Internet of Things”, allied with increasing reliance on e-navigation, means insurers may have less than five years to prepare for a cyber-attack or incident materializing into a hull and machinery loss (ii). Piracy evolves as potential cyber risk: There was an increase in the number of piracy attacks (246)(iii) during 2015. Progress continues in Africa with incidents down in Nigeria and Somalia, although the risk remains high. Attacks in South East Asia continue to increase, with the region accounting for 60% of global incidents and Vietnam a new hotspot. There are also indications pirates may be abusing holes in cyber security to target specific cargoes. There have already been a number of notable marine-related cyber incidents. The industry needs more robust cyber technology in order to monitor the movement of stolen cargoes. Other rising concerns include: Supply chain and accumulation risk in the wake of the Tianjin explosion in China in 2015; Cargo risk, particularly around accurate weighing of containers and shifting cargo (liquefaction) – technological support is needed to test the moisture content of cargoes which can liquefy; Car carrier stability – in the aftermath of the Höegh Osaka grounding incident;Geopolitical instability – in addition to the physical risks, there are operational risks due to unexpected port closures and vessel delays; The return of Iran to the global shipping stage after easing of sanctions raises safety questions about vessel and port standards in Iranian waters.